“I'm working with Dr. Louis Hamilton on studying the correlation between architecture and the use and creation of sacred space in Italy. Almost all architects and even politicians like Winston Churchill agree that the ways we live and work — and the effectiveness of those methods — are affected by the places in which we live and work. However, little research has been done to quantify this connection. In Rome, there are about 560 shrines dedicated to the Madonna, the mother of God in Christian theology. I use Google Street View to catalog the apparent devotion at these shrines — which is measured by the presence of cards, candles, plaques, fresh flowers and other offerings — and the infrastructure around them — size, number of street lanes, sidewalk width, presence of a physical shelf, image used, type of building, etc. — to determine what the correlation is between architecture and the use of a religious space. My hope is that this research will allow architects and religious authorities to be able to create spaces that are the most effective at encouraging or discouraging devotion. In the future, I want to look at how spaces affect productivity, and do a study on the Central King Building in particular. (Top) Laura Gould (right) with fellow Honors Summer Research Institute participant Caroline D’Souza, a chemical engineering major. 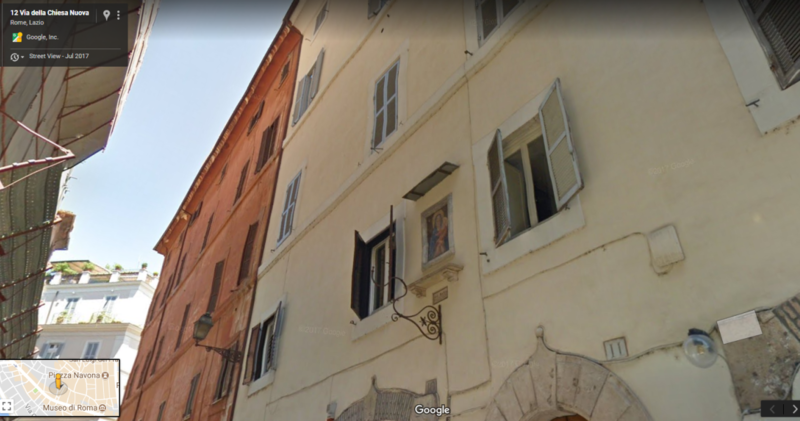 (Middle and bottom) These screenshots from Google Street View are helping Laura Gould identify and catalog religious shrines in Rome, Italy. Undergraduate research is thriving and highly encouraged at NJIT, both during the academic year and the summer months. Just this summer alone, nearly 140 undergrads are on campus conducting research with almost 70 professors, and 95 posters were presented at the Summer Undergraduate Research Symposium. Undergraduate researchers are funded by a range of sponsors, including the university’s Provost Summer Research Fellowship, which is supporting 44 students. Overall, more than $3 million have been spent on undergraduate grants and stipends since 2014. For more information on undergraduate research opportunities, visit centers.njit.edu/uri.